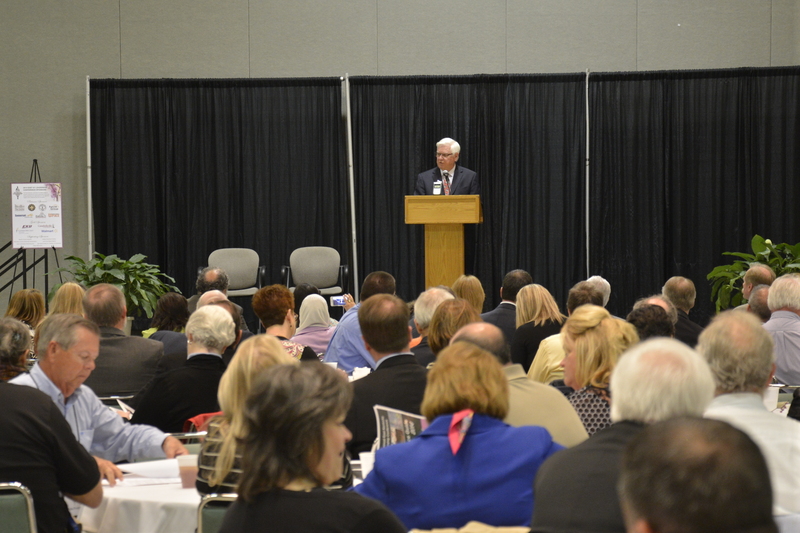 U.S. Rep. Harold "Hal" Rogers' (Ky-05) message on Friday to attendees at the East Kentucky Leadership Foundation Conference was "plan your work and work your plan." Members of the SOAR: Shaping Our Appalachian Region working groups met for the first time during the two-day conference at The Center for Rural Development in Somerset, Kentucky. Conference leaders reported more than 400 people at the event. "I sense an opportunity, a chance to rethink ourselves and redesign ourselves," said Rogers, Co-Chair of the SOAR Executive Committee with Governor Steve Beshear. "After you get your plan together, we're going to take off our coats, roll up our sleeves and take action." There are eight active working groups to help determine the next steps of the SOAR initiative. Those groups are designed to focus on: business recruitment, business incubation, education and retraining, health, infrastructure, leadership development and youth engagement, regional collaboration and identity, as well as tourism. "Dogs don't bark at parked cars," said Rogers, as he encouraged working group members to think big without fear of criticism. "My special hope is for us to develop the dark fiber and bring this high-speed, high-capacity broadband to the far reaches of east Kentucky," he continued. "This one component will connect us to the rest of the world. Companies are looking for access and good work ethic, and we will have both." Rogers has served Kentucky’s 5th Congressional District since 1981. With a focus on economic development, job creation, fighting illegal drugs and preserving Appalachia’s natural treasures, he has a reputation for listening to his constituents and fighting for the region he represents. For more information, visit http://halrogers.house.gov or follow Rogers onTwitter or on Facebook.